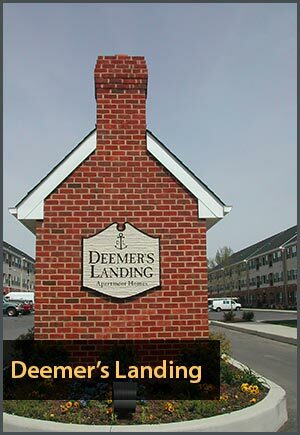 The Helm at Deemers landing offers plush one-bedroom and one bedroom deluxe as well as two-bedroom and two-bedroom deluxe apartments. 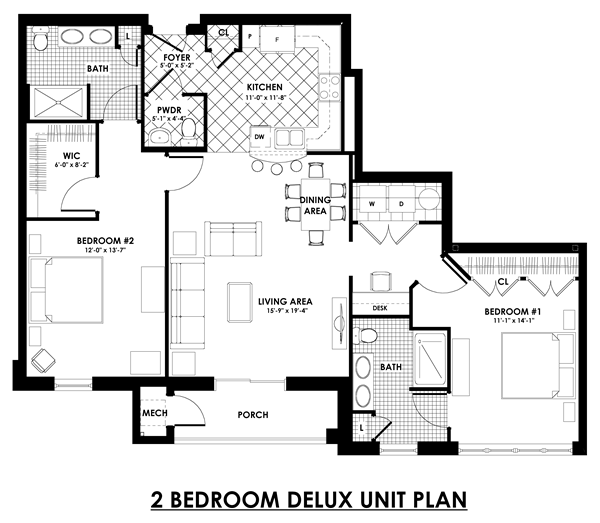 All the apartments are beautiful and spacious with fabulous views and plenty of amenities. The living area is elegant with neutral tones, which match any style of decorating. Elegant crown molding and chair rails give every room that upscale atmosphere. Soaring nine foot ceilings are throughout and create light and airy rooms. The kitchens are first class with custom imported Russian birch wood tongue and groove cabinets and upgraded silver appliances, including a refrigerator with an icemaker, garbage disposal, self-cleaning oven, and flat-top electric stove, all complemented by the beige swirled tile floor. Sleek black-flecked granite adorns the counter tops as well as the charming island. Off the kitchen is a built-in upscale desk area that is enhanced with two shelves. The master bedroom is arranged to be light and airy and has a huge walk-in closet, while all the bathrooms are upscale with granite vanities, polished nickel bathroom fixtures and soft lighting. Convenience is a way of life at the Helm. In fact there is no need to leave your apartment to do your laundry because off the kitchen, elegantly housed behind a door, is a side-by-side, full size washer and dryer. Additionally, a trash chute is on every floor and the mail room is located on the main floor off the grand foyer so there is no need to venture out to take your trash out or pick up your mail in cold, wet or windy weather. The community also offers great amenities to its residents. A community room designed to welcoming and comfortable. A state-of-the-art fitness room, houses a diverse range of high-tech exercise equipment. Every resident can also take the opportunity to enjoy the open space that surrounds the community as well as Battery Park that is mere minutes away. Plus, there is a refreshing swimming pool that residents can use during those hot summer days. 1.5 Bath 928 Sq. 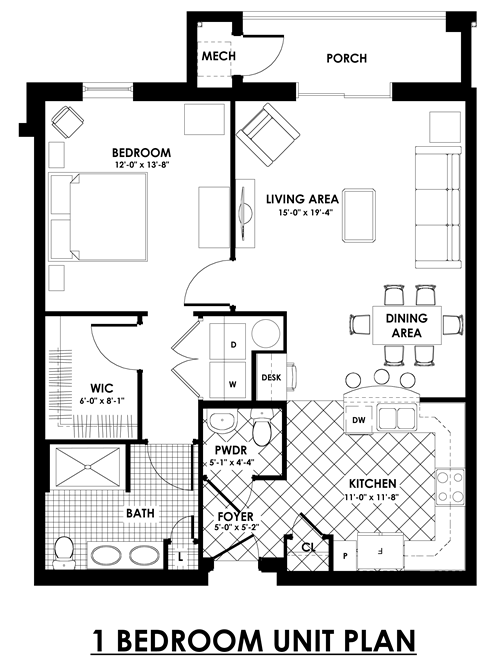 Ft.
1.5 Bath 1042 Sq. 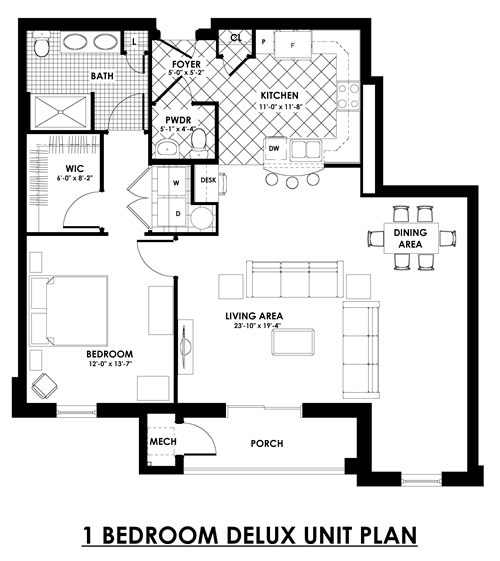 Ft.
1.5 Bath 1168 Sq. 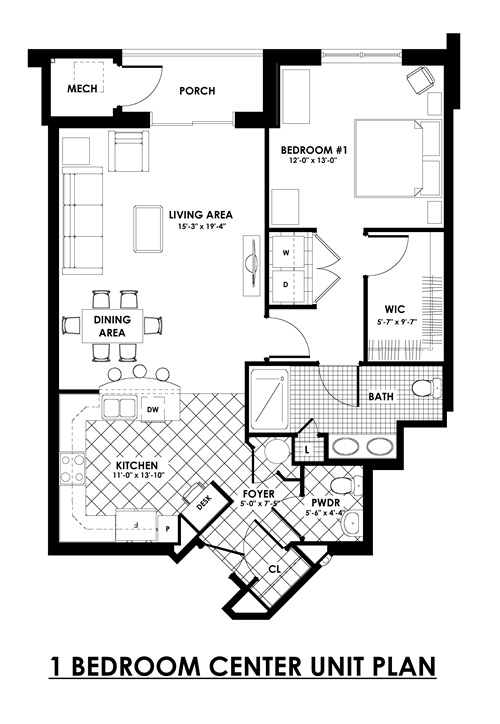 Ft.
2 Bath 1290 Sq. 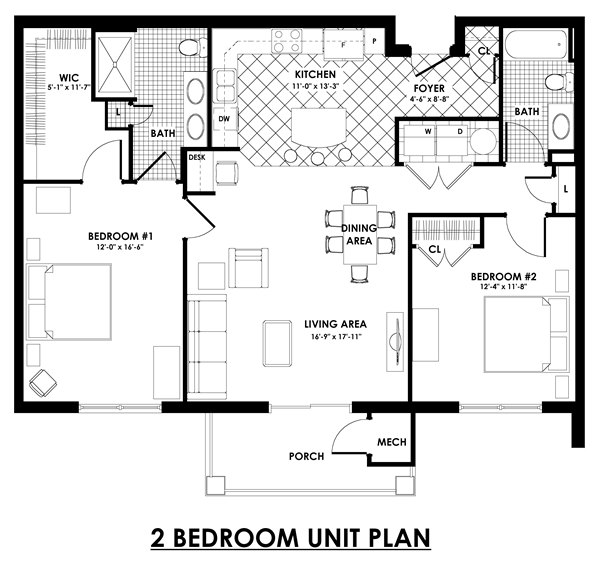 Ft.
2.5 Bath 1290 Sq. 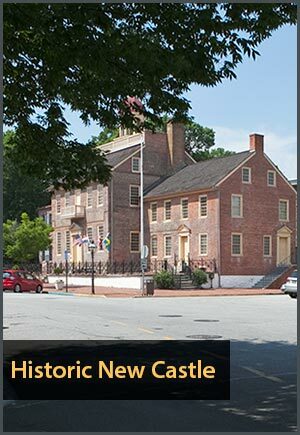 Ft.
Just steps away from the heart of Old New Castle – including the renowned Battery Park on the Delaware River! We are conveniently located near I-95 to take you almost anywhere! Furry friends are welcome. For an additional fee, we also have storage units and carports on site for your convenience. Breed and weight restrictions apply – NOT APPLICABLE TO ANY SERVICE ANIMAL. Application fees are $50 for the first person, or married couple, and $25 for additional occupants. Security Deposits equal one month’s rent. Pet Deposit is $500.00 for 1st pet and $250.00 for 2nd.